At one point yesterday, I experienced one of the down moments in life and couldn't blame anyone more than myself! So I snapped out of it, went online carolina designs and re-read a speech that inspired me way back in 2006. Since then, this speech has played a part in motivating me to do what I do. I love love love Pixar movies and animations but I don't love Apple computers. Yet who cares because we all owe it to one "hungry" man... 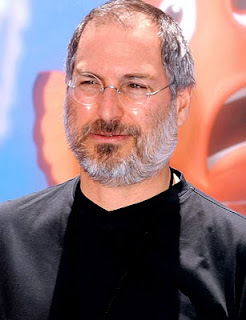 (Wait...I don't know him personally but I guess I am a fan of his hard work and ambitions) Steve Jobs! Here is the speech transcript of Commencement Speech he once gave at Stanford. Be inspired!! !